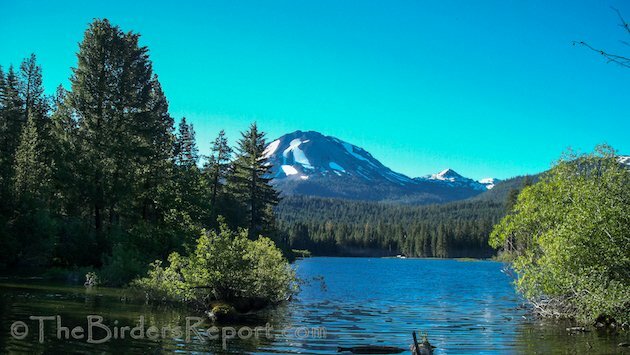 As you enter Lassen Volcanic National Park’s northern entrance the first thing you see along the right side of the road is Manzanita Lake with Mount Lassen in the background. 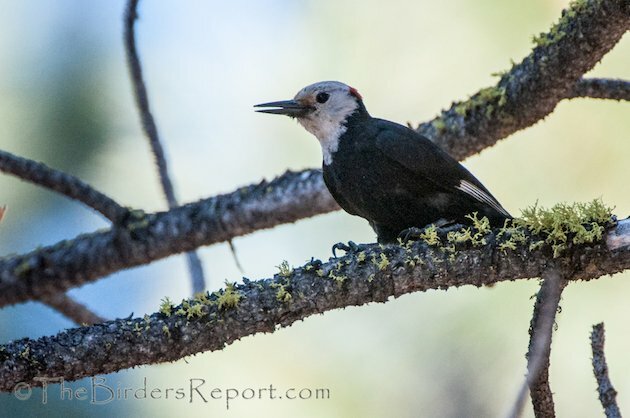 A birding friend of mine listed nesting White-headed Woodpeckers (Picoides albolarvatus) on the local Shasta County listserve so I thought I’d head up to Lassen Park to check it out. I wanted to do a bit of scouting before our annual Audubon Outing anyway and it’s only an hour from my house. Why are they found only in this habitat? Pine seeds are an important part of their diet through much of the year but especially in fall and winter. 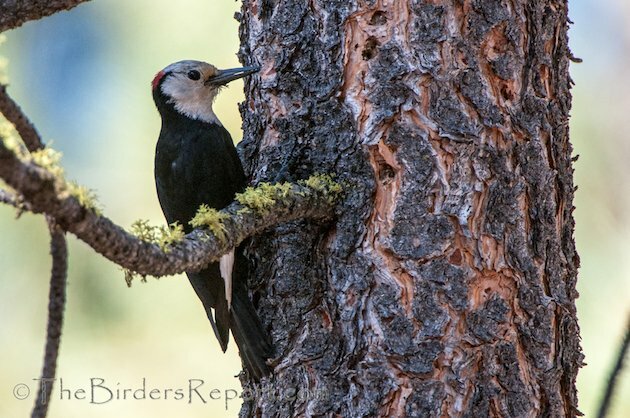 Throughout their range they require habitat with an abundance of mature pines (with large cones and abundant seed production) and availability of snags and stumps for nest cavities1. 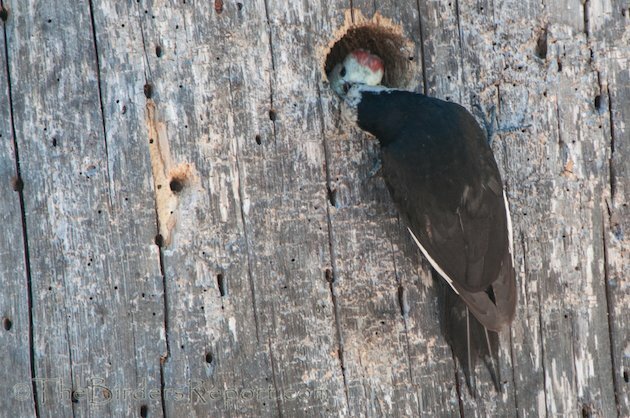 This pair was bringing beaks full of insects to what was left of a burned out stump of a huge pine tree, the remains of which were probably three feet in diameter and only eight to ten feet tall. 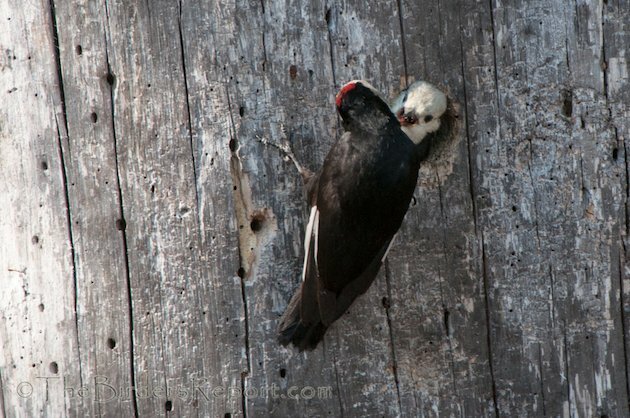 The adults were arriving pretty regularly to the cavity entrance to feed the persistent demands of the nestlings. 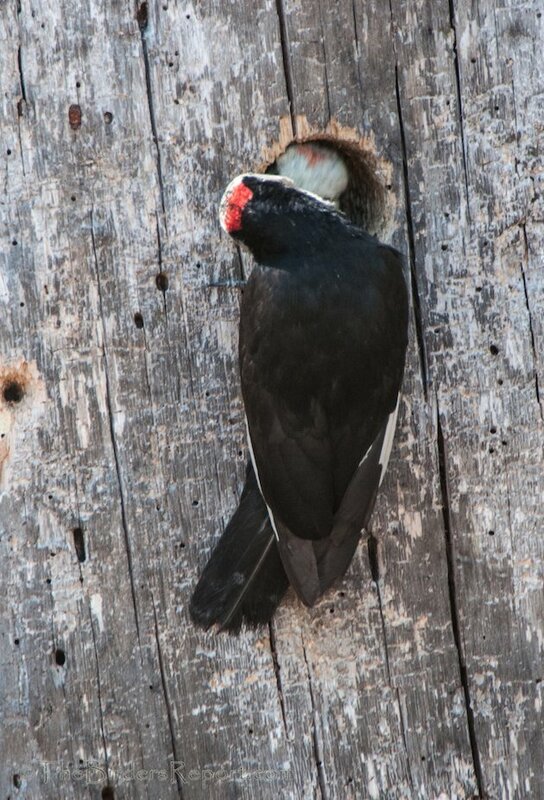 Here the male shows his red occipital patch and you will notice that the nestling’s crown is all white. In a subsequent trip a different nestling, with a hint of pale scarlet on its crown, comes to the entrance. And again, the hungry white-crowned nestling. Note that the adult always turns its head to the side to accommodate the nestling during the transfer of mainly larvae and adult insects. This is clearly a third and different nestling with an extensive scarlet crown patch. 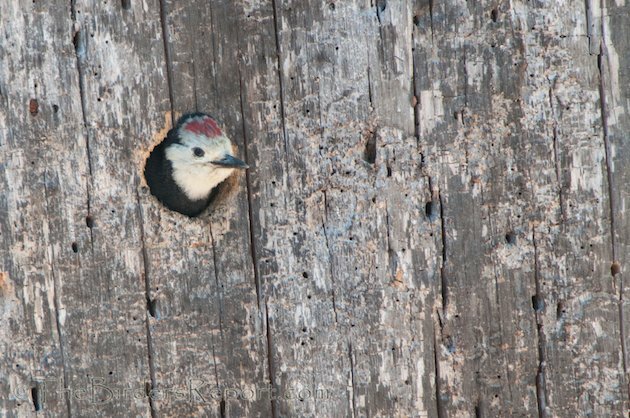 White-headed Woodpeckers usually lay 4 to 5 eggs in a clutch and we’ve seen at least three different nestlings here now. You can tell that these nestlings were getting close to fledging too. This one was sticking his head completely out of the entrance hole. 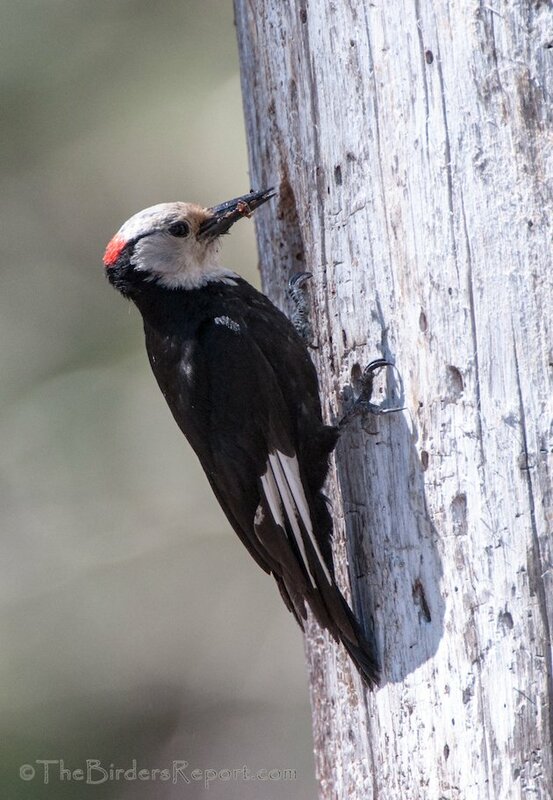 The female White-headed Woodpecker looks like the male without the red occipital patch. She was doing more than her fair share of feeding the kids too. During the photo shoot, the adults were bringing something to the nest about every 15 minutes or so. Fledging usually occurs in late June and early July when the nestlings are about 26 days old. 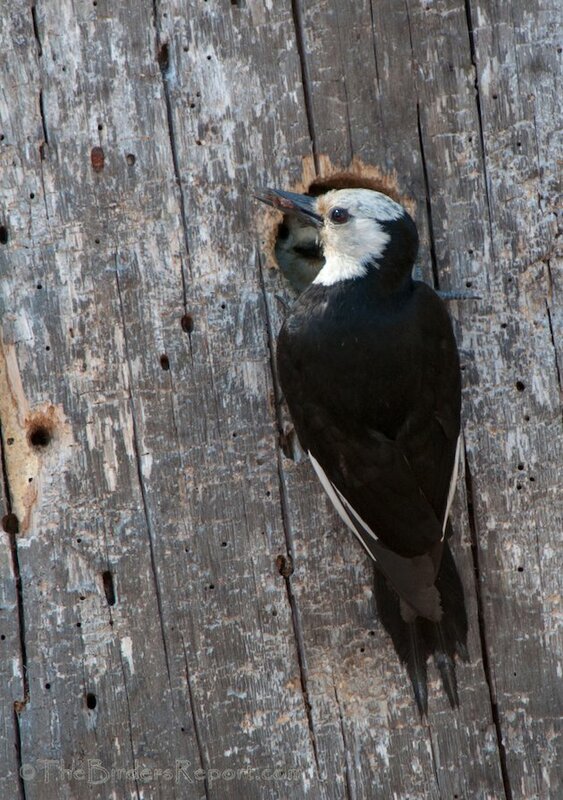 At that time the adults will call and drum near the nest cavity to coax the nestlings out of the nest1. You saw this in the video at the top of the post. The adults will usually attend the fledglings for another month or two as their flight skills increase, each parent taking care of half of the youngsters. I will look for them on our outing in a few weeks. Great photos and video! I love these guys. We have a pair living near our cabin in the San Bernardino National Forest, and now I’m more eager to see them than ever. Thanks, Larry, for a wonderful post. @Luisa thank you very much. 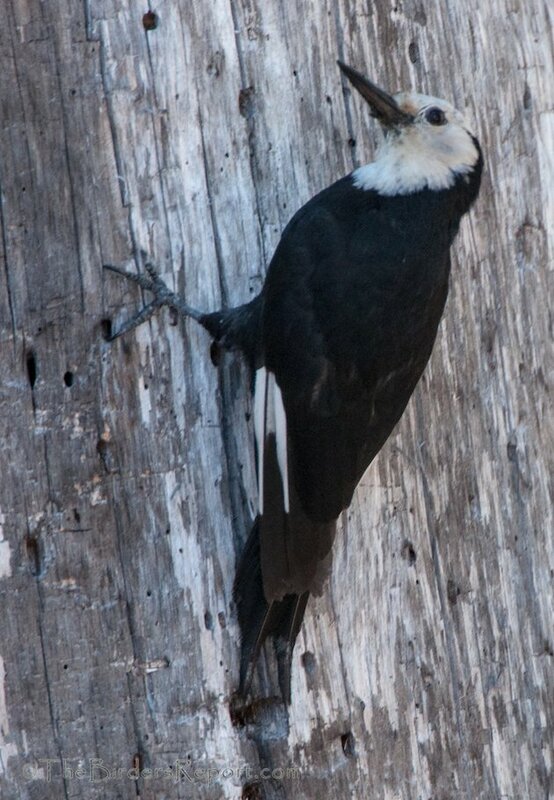 You are so fortunate to have these cool woodies at your cabin! I had a great time watching the nestling/parent interaction. 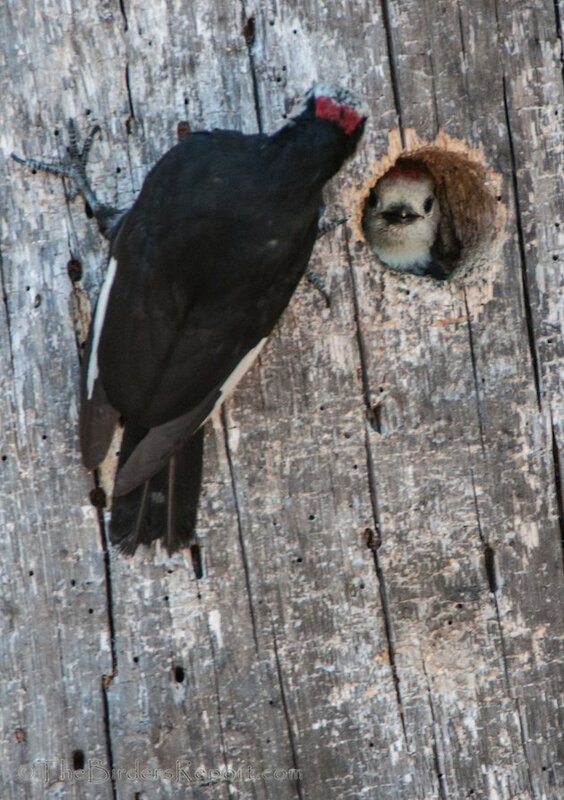 I wondered whether the female was calling her mate with the drumming until I discovered that the drumming during the end of the nesting period was to call the young out into the world. What fabulous photos! I love that the parents share the care and split the fledglings into two groups. Fascinating! @Wendy thanks! I thought that was interesting also. Apparently the young fledged from the same nest typically scatter somewhat, rather than maintaining a tight family group so the parents split the feeding duties. 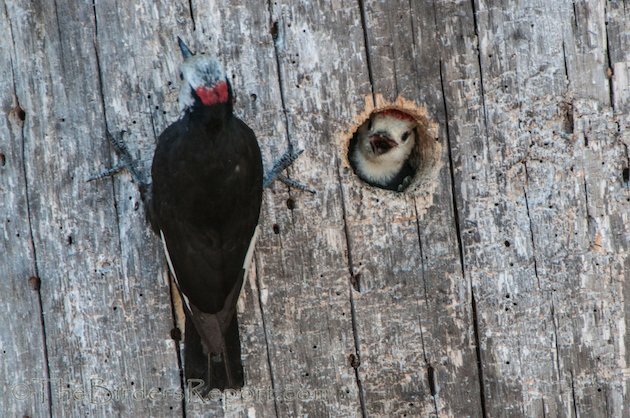 Larry, great series on this woodpecker and superb photographs! Another example of how important maintaining habitat is! @Wally right you are! 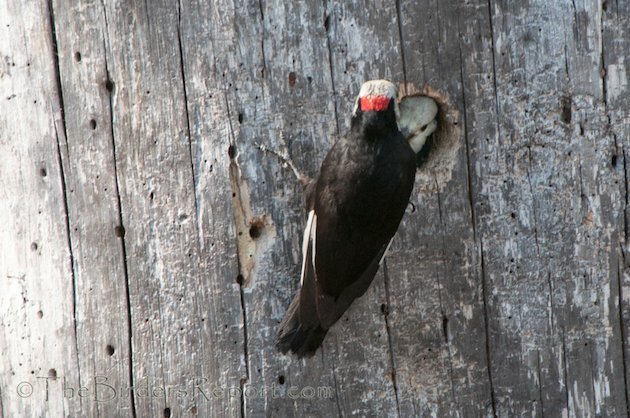 Without leaving the broken trees and burned out snags many woodpeckers and all the secondary cavity nesters would have much less chance of finding breeding habitat. 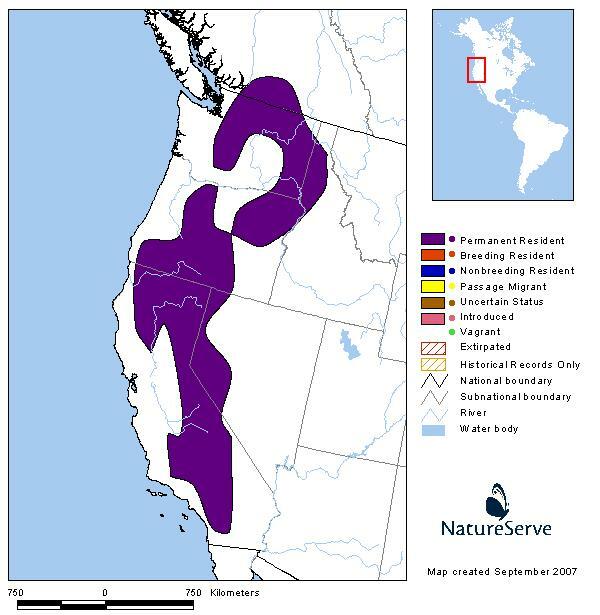 Where Are You Birding This Final Weekend of June 2012?